The First Hotel Jörgen Kock is primarily a business hotel and has very good reviews online. Its only a five minute walk from Malmo central station and is also less than ten minute walk from main square shopping area. For those who needed the First Hotel Jörgen Kock has super fast Wi-Fi with speeds topping 30mbps, which is of course complimentary. Should you require it, the hotel is more than willing to allow you to plug in directly with an Ethernet cord. The real jewel of this hotel is the friendly professional staff. Everyone who stays at this establishment praises them. They speak over twelve languages between them and are always to make your stay memorable. Being nearly always booked, sometimes it can be hard to get the last minute reservation but this is no surprising given their value in terms of the price. 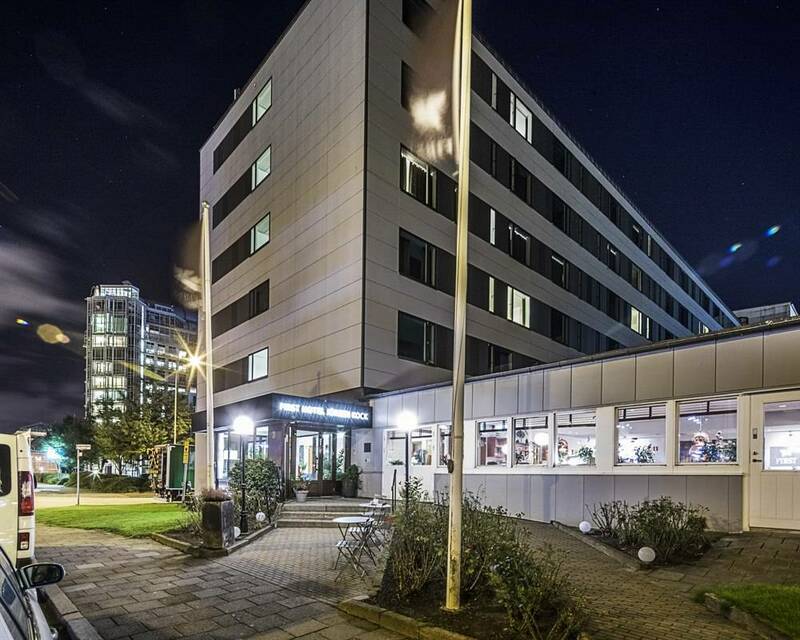 They offer a lot of amenities and have very lenient rules accommodating many different kinds of guest for example they are probably the only business hotel in Malmo that allows guest to bring their pets. With your stay at the First Hotel Jörgen Kock, you’ll also get a complimentary breakfast. The breakfast is a buffet with a lot of selection and really fresh delicious food. The First Hotel Jörgen Kock is primarily a business hotel and has very good reviews online. Its only a five minute walk from Malmo central station and is also less than ten minute walk from main square shopping area. For those who needed the First Hotel Jörgen Kock has super fast Wi-Fi with speeds topping 30mbps, which is of course complimentary.